After years of hosting the Post-Oscar specials on his show, Jimmy Kimmel Live, comedic emcee, Jimmy Kimmel gets his moment in the Primetime spotlight. As Kimmel hosts the Oscars tonight, his wife and kids are eagerly watching his Oscar stage debut. The charismatic and funny talk show host, Jimmy Kimmel is suited up to host the 2017 Oscars. He’s going to bring his comedic stylings to the Oscar nominees, which will no doubt include a few political jabs and poke fun at his pseudo-rival Matt Damon. While we look forward to watching Kimmel on the Oscars stage, we’re sure there are a few people who are anticipating Kimmel’s performance all the more, namely his wife, Molly McNearney and his three adorable kids, Kevin, Katie and Jane. Kimmel has done some hilarious segments on his late night talk show in the past with kids’ discussion panels. But what about his own kids? Find out about Jimmy Kimmel’s son and daughters right here. Kimmel was a 19-year-old student at Arizona State University when he met Gina Maddy, who was older than him by three years. The couple dated and married two years later in 1988. They have two children, Katherine ‘Katie’ Kimmel who was born in 1991 and Kevin Kimmel, born in 1993. Kimmel and Maddy divorced in 2002, following which she started her own fashion website. The Maddy James apparel website has a huge collection of old Hollywood inspired outfits. It’s not known who raised Katie and Kevin after their parents divorced. While Maddy is an entrepreneur and Kimmel is an emcee, their children have made good of Jimmy’s Hollywood connection and pursued an acting career on the side. Kevin and Katie have their own main careers different from either of their parents. Kevin has work in the sound department of various TV shows while Katie is an artist. However, both have worked with their father on Kimmel’s early comedy shows, The Man Show and Crank Yankers. But they both played Kimmel’s children, so can we still call it acting? Kevin has worked in the sound department of Tosh.0, the TV series starring the comedian, Daniel Tosh. The show provides funny commentaries on viral videos, clips, celebs, and other pop culture sensations. While Kevin is credited as an actor, he’s also done some behind the camera work for shows like the Survivor franchise, The Bachelor, Top Gear, and some award show specials. Katie Kimmel has a Bachelor of Fine Arts from the School of Art Institute in Chicago. 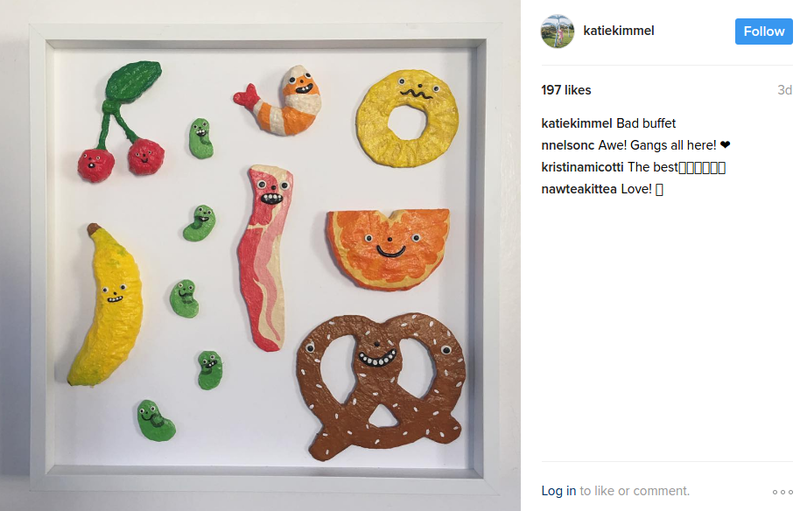 She has her own website and Instagram page where she displays her work and puts it up for sale. She has done caricatures of T-shirts and bags, ceramic work, and some print work. The late night host married Molly McNearney, a writer on Jimmy Kimmel Live, in 2013. Their wedding was an extravagant affair with many celebrity guests including Matt Damon. A year after their wedding, the couple welcomed their first child together, Jimmy’s third child, Jane. Little Jane Kimmel seems to be following in her father’s footsteps. Sure it’s too soon to tell, but she’s proven to be one mischievous little tot! Kimmel shared on his show of how Jane ruined Mothers Day for McNearney. Apparently, Jane threw an epic tantrum in the restaurant that made her mother wish to never have kids again. Kimmel showed pictures of the entire episode including the final one, where Jane is enjoying ice cream after her tantrum. She was wearing a cute toothless smile that pretty much said ‘I win.’ Not just that, Jane also replaced her father behind his JKL desk once and Kimmel could only giggle. Now, Kimmel’s family is about to get bigger! On the day it was announced that Kimmel would host the 2017 Academy Awards, the 49-year-old announced that his wife is pregnant with their second child. It looks like Kimmel’s new baby on the way could be lucky for him. “My wife is hosting a baby inside her body, so that’s what’s coming,” Kimmel joked while talking about his new Oscars gig. Now that they’re expecting their fourth child, Kimmel is already talking about retiring from late night television. JKL has been running since 2003, but Kimmel’s contract is expiring in 2019. In an interview with Variety, he told that he would be doing the show for at least three years, but the future beyond that is still unknown. “It’s possible that will be it. My wife’s pregnant. At a certain point, I’d like to have a little more free time. 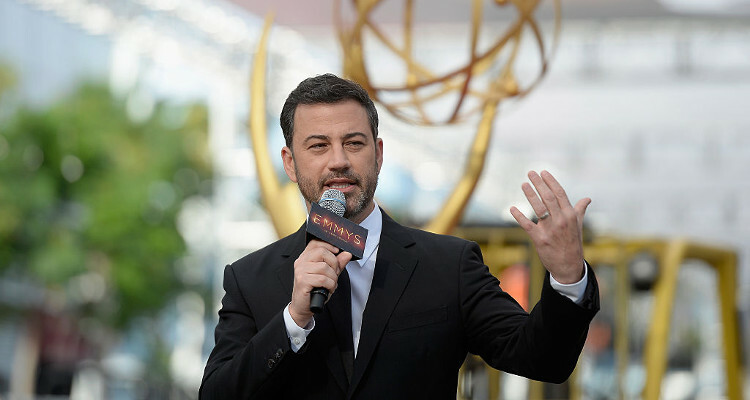 I have very little free time as it is.” Besides hosting the show, Kimmel writes his own monologues, researches his guests, and is the executive producer and “control freak” of JKL.